THE local community turned out in force at a fun charity event in October which ended up raising thousands of euro for Pieta House. Nolan’s Londis on the North Circular Road was the venue for a bikeathon back on October 20 which saw people taking turns in pedalling away on stationary and donating cash for the great cause from 9am to 6pm on the day. 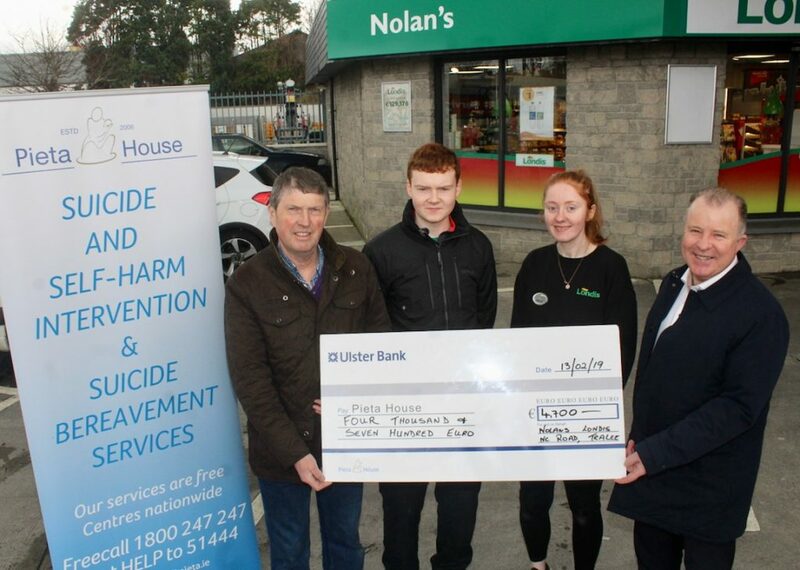 Londis was a charity partner of Pieta House in 2018 and the cheque for €4,700 was handed over to Con O’Connor from the charity on Wednesday morning. “It was brilliant to do something like this for such a worthy cause and we were delighted that the local community turned out to support it, including one of our elderly neighbours aged in her 80s even got up on the bike for a few minutes,” said Niall Nolan of Nolan’s Londis. Con O’Connor of Pieta House accepted the cheque and also said it was an effort from people all over Tralee that made it such a success.